Output Connector: HDMI Female. Mini USB2.0 To HDMI Cable, compact and lightweight, easy to carry. Turn your phone’s port into a standard HDMI port for HD playback. Other port: Mini USB Female for charging. 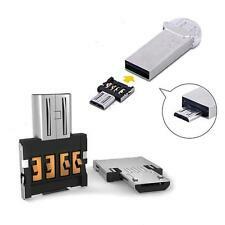 3 in 1 USB OTG CARD READER UNIVERSAL MICRO USB OTG TF/SD CARD. OTG reader (sd micro sd) Micro sd card reader SD card reader. support for OTG function smart phones and tablet. Slots : 2 slots (SD micro SD). Micro USB Cable Male Host to USB Female OTG Adapter Android Tablet Phone PDA PC. Most of Android Tablets. compatible with modern device Galaxy TAB 3. ASUS Google Nexus 7(2nd Gen)/10. Samsung Galaxy S2/SII/SIII/S4/i9100. Supports TMDS Link rates up to 250MHz and 3D at 1080p @60Hz. Micro-USB to HDMI Cable for smartphones, tablets and more! Supports 3D 1080p. [Connect Slimport Devices to HDTV]. Cable Length: 1.8 M. Single wire (C-Wire) sideband communication channel. Ensure that you keep your phone device up to date with this OTG Adapter micro usb to usb adapter OTG. With this portable accessory, you will be able to transfer files from your computer or old phone to your new Sony smartphone easily. 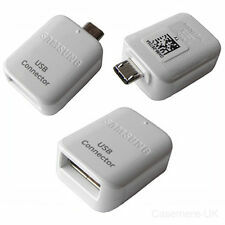 USB Female OTG Cable Adapter for Samsung Galaxy Tab 10.1/8.9/P7500/P7510 P6800 P6810 P310 P3100 P3110. Not only that, you can also connect other USB peripherals, like mice and keyboards, and add extra functionality to your device. Connect the smaller end of the MHL cable to the MHL Phone device. Connect the larger end (HDMI) end of the MHL cable to the HDMI input on the TV that supports MHL. MHL Cable length:6.5 feet (2m). External power source needed when this MHL to HDMI adaptor is connected to HDMI device. This quality adapter allows you converting any USB type A Male connector into a Mini USB B Male connector. You can use this adapter with data cable for transferring to your devices such as phone, computer, and laptop. USB host OTG ( on-the-go) function. The Micro-B plug is for OTG device and also for Power charging. Micro USB OTG Host Cable x 1. Can connect your device to most USB Flash Drive, Mouse, Keyboard and etc. Tablets HDTV. Supports TMDS Link rates up to 250MHz and 3D at 1080p @60Hz. Micro-USB to HDMI Cable for smartphones, tablets and more! This cable does not support Samsung devices. 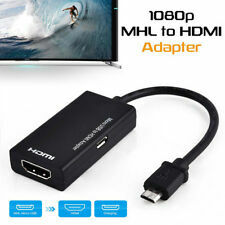 Micro USB To HDMI 1080p Wire Cable TV AV Adapter For Mobile Phones Tablets HDTV. Micro USB to HDMI(F) & Micro USB(F) adapter. Connectors: 5-pin micro-USB male (connect to device) / HDMI female / micro-USB female (connect to power source). 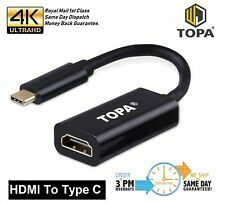 1 Micro USB to HDMI Adapter. Connect your micro USB 5-pin port to an HDMI (type A) device. This Adapter allows you to transfer any type of your data very quickly. 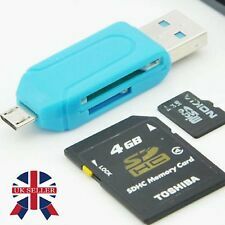 Through this Genuine OTG technology you can connect your USB Flash Drive, Keyboard, Mouse, Card Reader, USB Audio Players or any other USB device to your phone. When the switch is placed” OTG “, the phone can read three external USB devices simultaneously. This is a multifunctional USB OTG Host Hub Adapter Cable. Compatible with all tablets and cellphones with OTG function, such as Samsung Galaxy S3, S4, Tab 3,2 ,Note 10.1 and so on. The Micro B USB Host OTG Cable allows you to connect your USB flash drives, mice, keyboards and even external hard drives to your Samsung Galaxy. Play movies, music and pictures through this USB host cable smoothly and without any delay. For a wire transfer, device must be a Galaxy device with Android™ 4.3 or higher, iOS 5 or higher, or BlackBerry® 7 OS or lower. Other devices are not supported for a wire transfer and must use the Smart Switch wireless transfer option or download the Kies app. Mini USB Flash Disk U Disk 5pin Micro USB OTG Cable Adaptador otg Adapter Converter For Xiaomi HTC Samsung HuaWei Phone Tablet. Easy to use in OTG phone transfer the data from cell phone and USB drive without any computer. OTG does introduce, however, the dual-role device, or simply stated, a device capable of functioning as either host or peripheral. Before OTG, the concept of an embedded host was already established in the USB world. 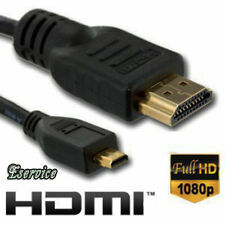 HDMI TV Micro USB to Out HDTV MHL Adapter Cable for Samsung Android Phone Tablet. Condition is Used. Dispatched with Royal Mail 2nd Class Letter. Output:DC5V 1A. Up to 5V DC Form USB Port (Positive inside). USB Type A Male to 2.5mm 0.7mm DC Power Plug Connector. Cable Length: 70cm(approx.). Then OTG cable adapter is the solution. Not every OTG Cable has the technology and construction required to download pictures, music or video, transfer data, attach mouse or keyboard. Why OTG Cable?. Most of Android Tablets. compatible with modern device Galaxy TAB 3. 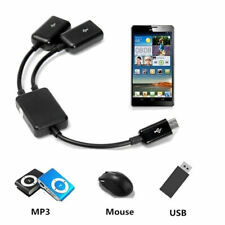 Application: for Android OTG smart phone, tablet, USB Disk, keyboard, mouse, etc. Product function: OTG adapter and transmission. 1 X OTG Adapter Cable. Product interface: Micro USB to USB Female. Material: aluminum alloy shell nylon braided wire. Just support Android Phone with OTG function. or LatvoorLinus Kernel 2.4.x or later Android 2.3 and above. (the smart devices with OTG function.). support common normal Type-c interface, not for the thin.